Many years ago, my best friend Bonnie and I took off from Canada for a year long travel adventure. We had planned and saved for our trip for many years; we cut out travel stories from the newspaper and collected travel tips from friends. Bonnie and I were only 19 years old but we were ready for a big adventure. It was a beautiful spring day when we landed in London, England. We spent a few weeks in that lovely old city before continuing our travels through the United Kingdom, Europe and into northern Africa as well. Europe is a fascinating place to travel at any age, but when you’re 19, it’s magical. We enjoyed all the art museums, comfortable, punctual trains, and the beautiful old buildings but my favourite part was the food: Austrian coffee, italian pizza and gelato in little cups, french croissants, greek baklava and egyptian falafels: all were breathtaking. 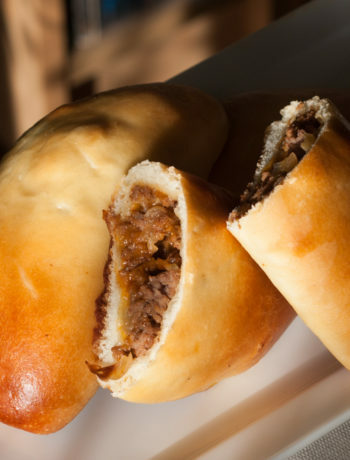 Over the course of twelve months, we sampled many delicious dishes and sweets. And my cooking at home is still influenced by that trip so many years ago. This year, while happily remembering our travels, I made one of our favourites sweets from our trip: Egyptian Basbousa Cake. We sampled many slices of Basbousa Cake while we travelled from Cairo to Luxor and to Hurghada on the Red Sea. 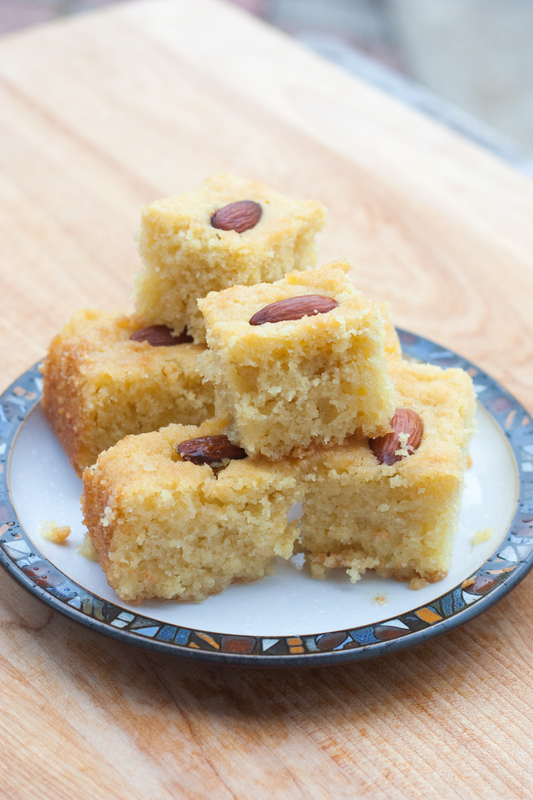 Basbousa Cake is a very popular dessert in the middle east. Many countries in this region make their own variation: Revani from Northern Greece, Ravani from Southern Greece and Hareesa from Jordan, the Maghreb and Alexandria. The names may be different, but the cakes are very similar. 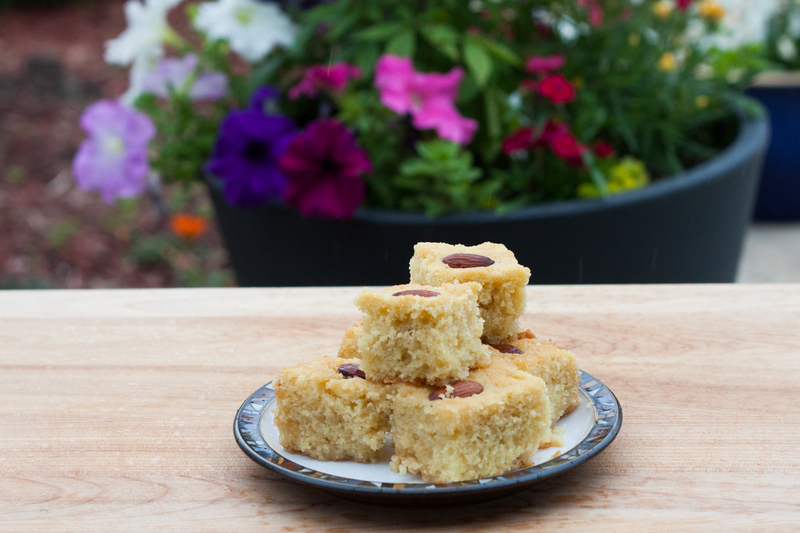 Egyptian Basbousa Cake is super easy to make as it only requires a few basic pantry ingredients. 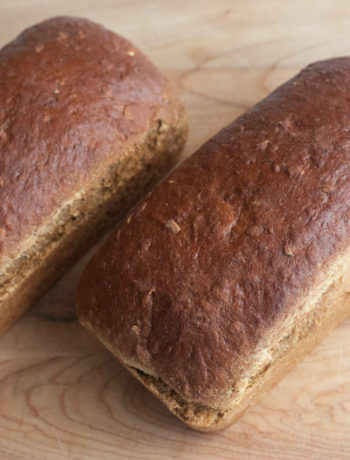 It is traditionally made with semolina and has a surprising wheaty aroma and taste. I have also made it with cream of wheat cereal, and while it has a coarser texture, I still really like it. 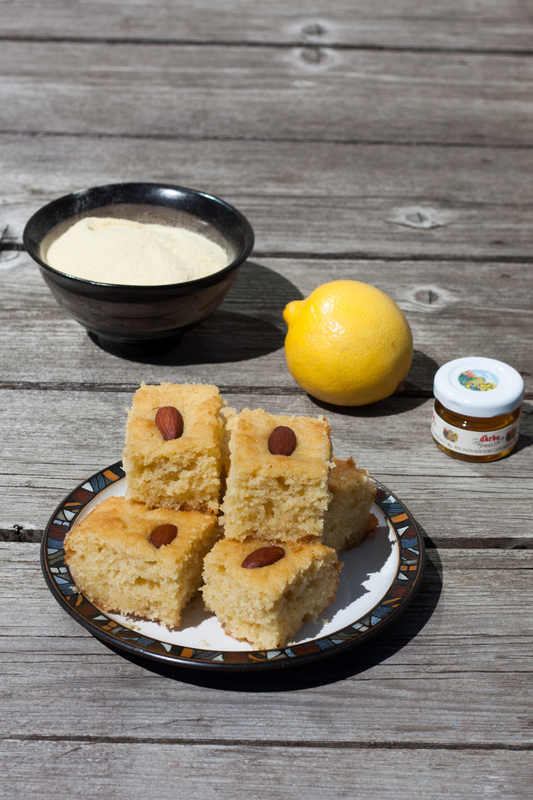 Basbousa is luxuriously sweet, with a cold lemon-scented sugar/honey syrup poured over the hot-from-the-oven cake. This technique also makes the cake super moist. Because it is a very moist cake, it doesn’t slice as neatly as other cakes, but is so so delicious. 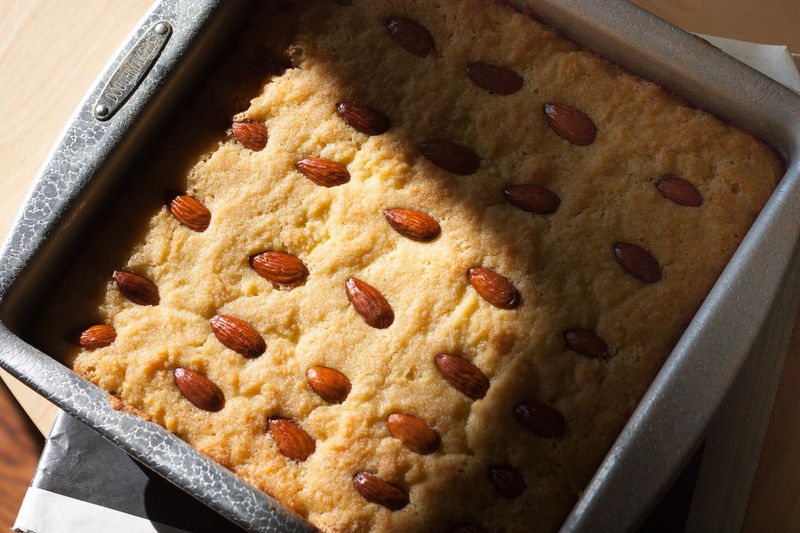 A traditional finishing touch to the cake is to place whole almonds in the centre of each slice. This cake will keep for serveral days. It is excellent with tea or coffee. It would also be an excellent addition to an afternoon picnic on the beach. 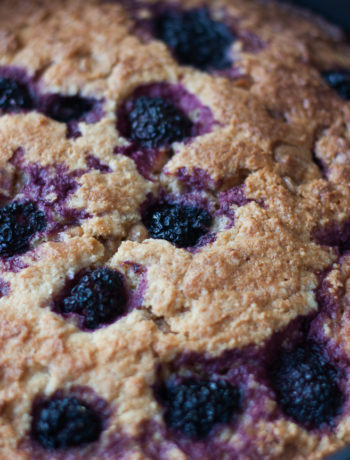 If you want to ramp this cake up a notch, served it with a dollop thick whipped cream. Grease a baking pan 9 X 9 inches. Whip the butter and sugar until well blended and a pale yellow colour. In a separate bowl, mix the semolina and baking powder and soda. Add dry mixture and yogurt to butter/sugar mix, alternating between the dry mix and the yogurt. Bake in oven for 30 minutes, or until cake tester comes out clean and the cake is slightly golden on top. While the cake is baking, you can make the syrup. Combine all of the ingredients in a small pot. Bring to a boil, stirring lots to help dissolve the sugar. Simmer for about 10 minutes. Then pour the syrup into a heat resistant bowl or very large measuring cup. Place the bowl in cold water to cool down the syrup. You could also place the container with the syrup in the freezer until the cake comes out of the oven. Once the cake has come out of the oven, pour the syrup over the hot cake, until it is all soaked up. You may not need all of it, but you will be surprised how much it soaks up. Let the cake cool in the pan until cold.